Travelers crossing Panamint Valley on Hwy. 190 may view these dunes as a distant, pale smudge to the north. Those wanting a closer look must drive 5 miles down the unmarked dirt road leading past Lake Hill, then hike cross-country 3 miles. 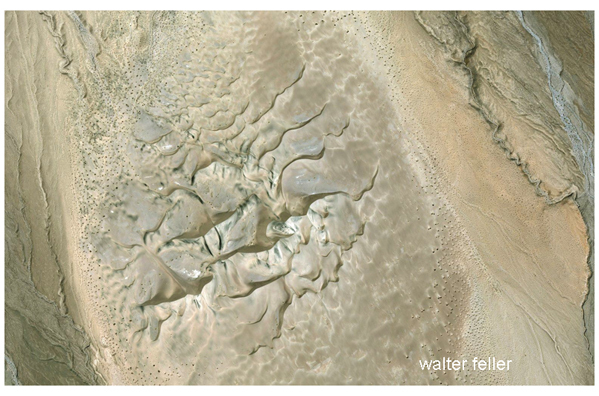 The other dunes of Death Valley are all situated on flat valley floors, but these are perched on a slope. 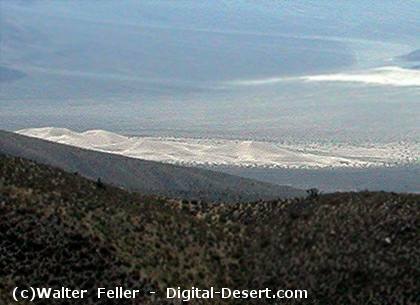 The view from the summit of these dunes reveals their star shape and an impressive view down the valley.